(1) An expedited path to whole stroke. While our freestyle drill sequence includes more than 10 steps, our new sequences for each stroke will have you swimming the whole stroke in just four to five steps. This will allow swimmers to more quickly begin integrating what they've been learning in whole-skill practice. (2) A more organic path to whole stroke. Our motivation for developing new sequences was a desire for every drill step to have clear relevance to the whole-stroke and for our sequences for all strokes to better match the seamless steps by which we teach Freestyle. 1) Live lesson with Terry Laughlin - Terry demonstrates and explains every step, what it contributes to the overall skill and how it relates to other skills in the sequence. It's like having a personal lesson with Terry. 2) Beneath the Surface - These segments were shot in a current pool, with both camera and swimmer stationary, allowing for lengthy study of the movements. We shot these segments from six different underwater and surface angles, including directly underneath and overhead. No instructional video has ever examined the strokes so thoroughly. 3) TI Coaches Practice - Watch TI coaches practice the key drills and the whole stroke, also from multiple angles. Also shows examples of imperfect skills illustrating likely stroke and drill errors to watch out for. 4) For Boomers - This section, never before included in any instructional video shows how to adapt your swimming to be better than ever in middle age. 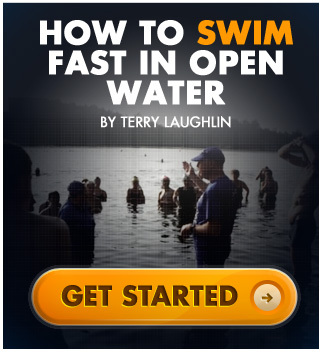 Though you may not be as strong or as supple as you were at 25, like Terry you can still swim your best by following the tips in this section.